How to buy your dream home in France, in two minutes! You’ve found your dream home, you’ve know the local area is perfect for you and you’re itching to pack your bags and start your new life in France! But how do you get from dreaming to standing keys in hand in your new French property? Find out in our two-minute guide to the house-buying process in France. C’est parti ! If you’re buying through an agent, you’ll probably need to sign a bon de visite. This just means you won’t privately approach the seller or go off with another agent. You’re not committed to buying – the agent will still put in your offer and the buyer will need to decide whether to accept it. Our Resource Centre can help you find the perfect estate agent for your requirements, so make an enquiry today to kick-start your property hunt. If you haven’t already, make sure you speak to a currency exchange now. The exchange rates move every minute and, with Brexit’s impact, this year’s looking even more volatile than usual. Between putting in an offer and actually paying, when the rate moves, you could lose thousands of pounds. Our readers recommend Smart Currency Exchange, who have helped thousands of them fix the same exchange rate for up to a year with a forward contract. Find out more in the Property Buyer’s Guide to Currency. With your exchange rate fixed, you know exactly how much you can pay. With your exchange rate fixed, you know exactly how much you can pay. Decide on your offer and make it through your agent. In the current market, almost all vendors are willing to be negotiable on price and, as a rough guide, you should start 10% below the asking price. Start off asking 10% below the buying price. A notaire, or notary, is a self-employed representative of the French government. Their job is essentially to make sure everything’s legally and properly done – providing peace of mind for you and the seller alike. You can either share a notaire with the seller, as most do, or you can use your own. The fees are set by the government, so neither side can negotiate. Find out more about their job and fees in our guide to the notaire‘s role. If you’re buying with a mortgage, you’ll want the best deal possible. Get expert advice from our recommended mortgage specialist. Once your offer’s been accepted, the notaire will draw up the compromis de vente. This is an agreement by both parties to continue with the purchase, with a ten-day cooling for period for you. You’ll pay a 10% deposit, which you’ll get back if you do back out during the period, but not after the ten days. The notaire will then get busy looking through the Land Registry for rights to ownership, boundaries and so on. One thing they won’t do is to look for private planning permissions, so make sure to pop by the Mairie yourself, or, better, get your solicitor to do so, to check. We can introduce you to a firm of trusted Anglo-French solicitors who have helped hundreds of our readers buy their dream home. Simply fill in our no-obligation enquiry form with your requirements and we’ll be in touch. The finish line is in sight! This is the last step of the house-buying process in France, and is the final sales contract. First, the notaire will inform the mayor of the sale. Every property in France is offered to the maire to buy and they normally have up to one month to come back to the notaire with an answer. They very rarely decide to buy: this is a more of a formality! Every property in France is offered to the maire to buy and they normally have up to one month to come back to the notaire with an answer. They very rarely decide to buy: this is a more of a formality of the house-buying process in France! Afterwards, they’ll draw up the acte de vente, normally about six to eight weeks after the compromis de vente. Make sure your full funds are in the notary account at least three days before signing. 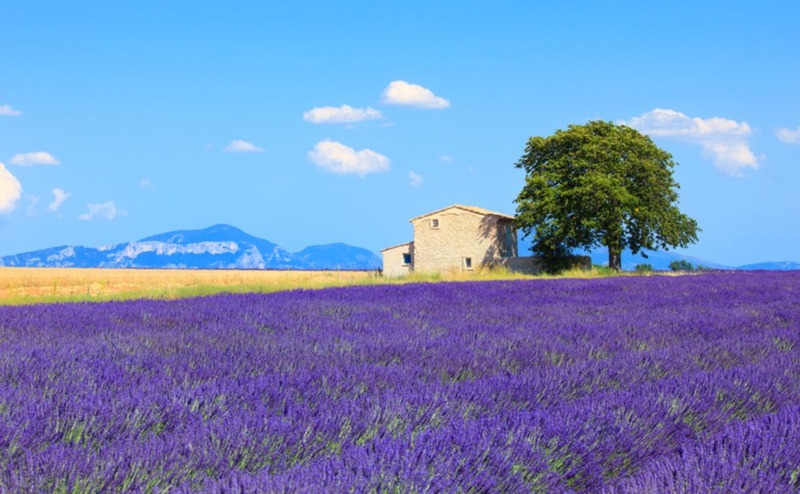 You don’t need to be present for completion and can sign via Power of Attorney – but you may well want to be since it is a wonderful moment to know you have finally bought your home in France! Don’t be worried about buying in France after Brexit – even if it’s a ‘no deal’. 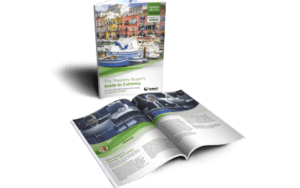 Find out more in our free guide, How to Live in France After Brexit. If you’re still on the hunt for that perfect property, why not check out the thousands of beautiful homes on our property portal? And, if you would like a bit more help with your search, including introductions to trusted estate agents who have helped many of our readers in their searches, simply let us know your requirements below. You could find that ideal property sooner than you think!